A a 15-year-old Palestinian was killed Friday by Israeli fire at a border protest, Gaza's Health Ministry said. The ministry said the 15-year-old boy killed was shot in the chest. It said 70 others were wounded, at least 20 by live fire, and others by tear gas. 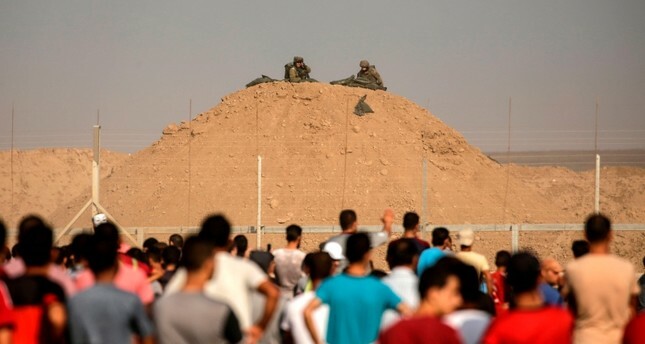 Thousands of Palestinians gathered near the Gaza border for weekly protests on Friday, which marked 100 days since their launch. The protest organizers say the demonstrations aim to press demands such as for a right to lands lost to Israel in the 1948 war of its foundation and for an Israeli-Egyptian blockade to ease. Home to 2 million Palestinians, more than half of them war refugees and their descendants, Gaza has suffered deep poverty with vital infrastructure collapsing under a 12-year blockade by Israel, which says its aim is to curb "security threats" by Palestinian resistance movement Hamas. Egypt keeps tight restrictions on its border crossing with Gaza.